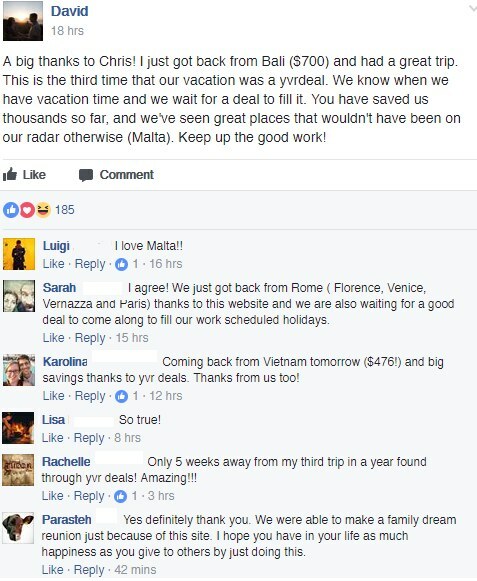 This is about 30% below the typical best roundtrip prices from Vancouver to Bali. May and June are good months to visit Bali. April is generally the start of the dry season, although you might want to focus on the second half of April for better odds. Sep 21 to Oct 5, 2016 is also available for $649 CAD roundtrip, but that's departing only a week from now! 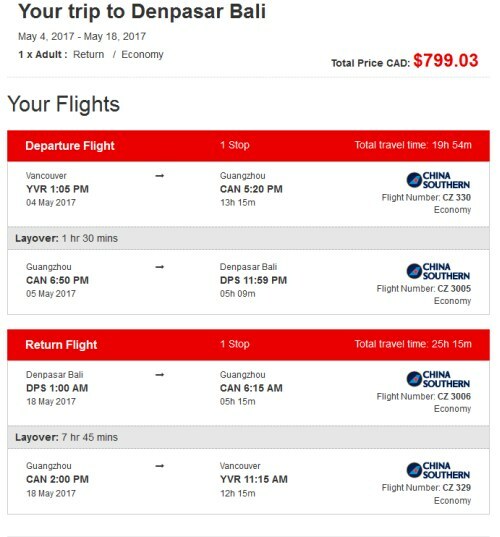 The price should show up as $799 CAD roundtrip on Flight Centre. 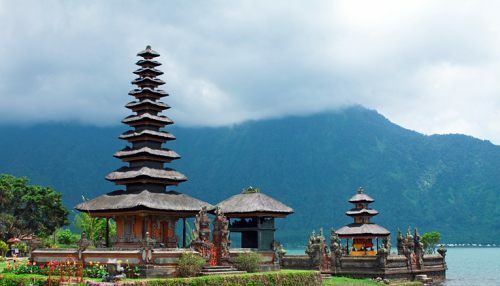 vancouver, yvr, flight deals, asia, china southern, southeast asia, bali, denpasar, dps and indonesia.